Beautiful handpicked gifts, gift wrapped in style by Mrs H! 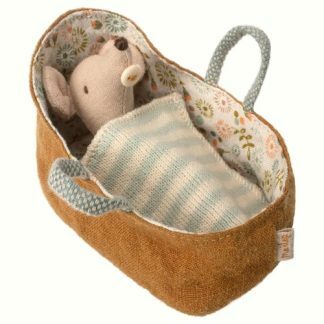 Maileg Mice (pronounced ‘myleigh’) is a contemporary design brand from Denmark. Created in 1999 by the talented designer Dorthe Mailil. 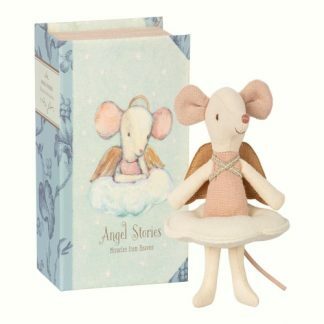 She designs gorgeous mice, toys and soft toys. The Maileg brand has a distinctive look and feel. Therefore, instantly recognizable and one that children adore. 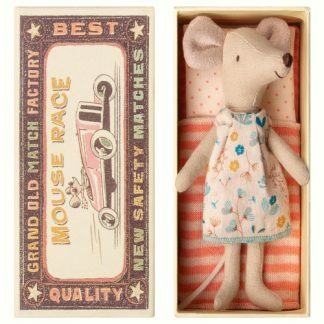 The mice in matchboxes are hugely popular. 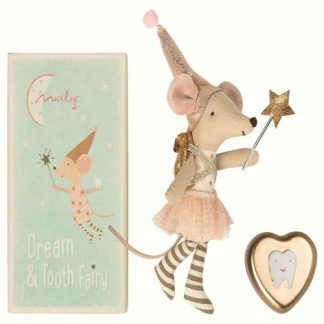 Here at My Perfect Giftbox, we love receiving lovely things. It’s important to us that all our lucky recipients are delighted when they receive and open their items. To make your purchase special, all our gifts arrive with gorgeous complimentary wrapping including colour appropriate luxury bow. Please just let us know if you would like to include a personal message on a gift which we will hand write on one of our labels for you. We post in a mailer bag via Royal Mail for speedy delivery. If preferred, you can send your item direct to the lucky recipient. This is a very easy option. By using this site or closing this you agree to our Cookies policy.